Jazzy Paper Designs: Stampendous! and Dreamweaver Blog Hop! Stampendous! 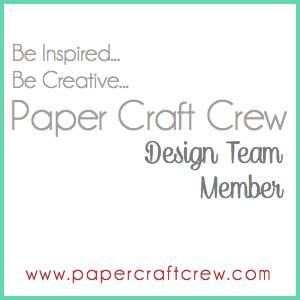 and Dreamweaver Blog Hop! Happy Friday and hope all is well!! Today Stampendous! 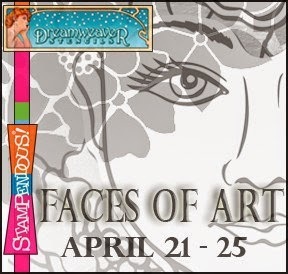 and Dreamweaver Stencils are Bloghoppin'!! Here is my creation for today.....CHECK IT!!! I had a lot of fun with this card...and that background is stenciled!! I created this card using Stampendous! 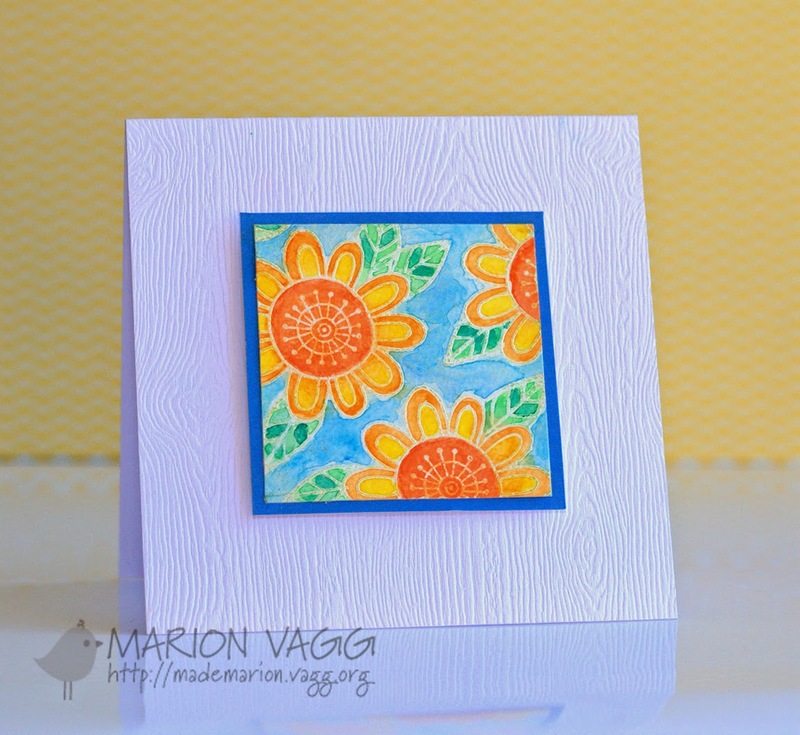 Lovely Garden Die Cut Set and the Stampendous! Cling Lovely Garden Set and Dreamweaver Misson Roses Stencil as well. Make sure that y'all check out what the other AWESOME ladies created over at the Stampendous! 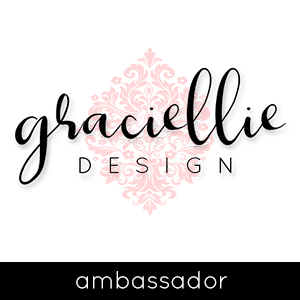 and Dreamweaver Blogs!!! AWESOMENESS.....I tell ya!! Here is also the very cool prize package that you could win!!! Hope you're feeling better Tenia! Beautiful design on your card!!! Super fabulous, Tenia! Love your color scheme as always and it's just gorgeous!! Love the simplicity of your pretty card!! TFS! 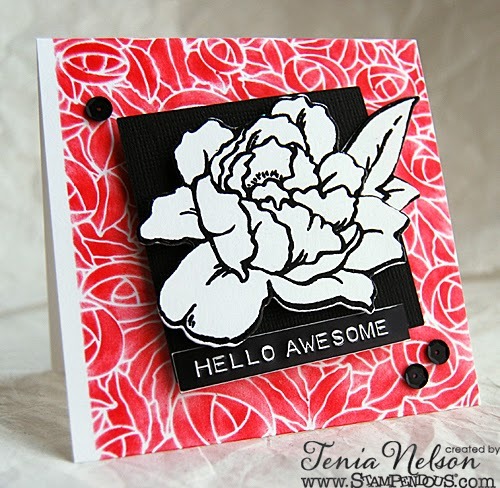 Hello, Awesome Tenia, I think this is my favorite card you've made! I love the colors, the design, everything! It just pops so beautifully! Another fabulous Tenia creation! Love it! Hope you are feeling better! Have a great weekend! The sentiment is perfect for this card - it is absolutely awesome! What a pretty card. LOVE the background. What an amazing card! 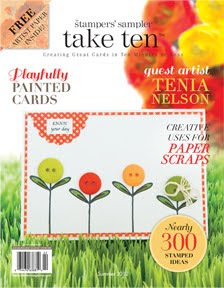 I love the stenciled background and I'm going to stock up on those DW stencils to create those backgrounds too. Thanks for sharing your inspiring card. Fabulous card! Love the bold color combo! very bold and bright. Great card. Thanks for sharing. Striking & beautiful! Perfect for the Muse challenge! AMAZING background... And I love the dramatic colors. I think a "hello awesome" is totally appropriate here ... LOVE it!! what an eye popping card Tenia! love that sentiment and the bright colors! Wow, the b/w flower looks fabulous on the red background! You are the queen of drama in your cards (I guess I don't know you well enough to say you're a drama queen! lol!) and this beauty is no exception! 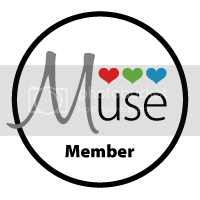 Love how you've used Marion's layout here and I'm so glad you joined us at Muse this week! Striking card! 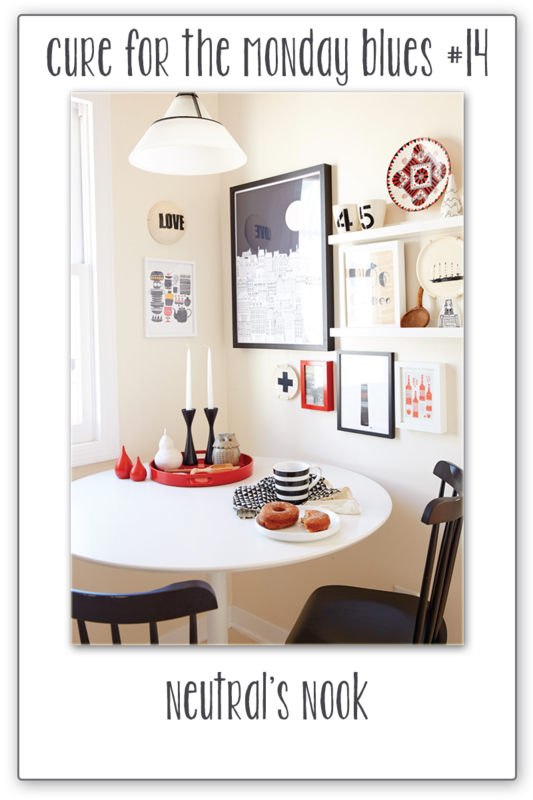 Beautiful design and pops of color! What a great way to end the hop/week! LOVE this gorgeous bold card! What a pretty card! I love the background and color combination, thanks for sharing. Love your bold stenciled background! I love seeing what you create because it is always edgey and wonderful. Great card. Thanks for sharing. Great job. The flower really stands out on your background. TFS. Tenia, this one blows. me. away. I have no words - just wow wow wow!! 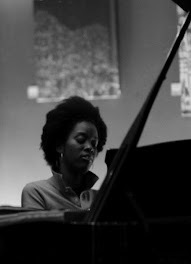 Thanks so much for playing to find a Cure For The Monday Blues! Great card with lots of techniques. Love the bold colors! Beautiful card! I love the stenciled background - awesome indeed!! Don't Follow Your Dreams.....Chase Them! A Very Important Note: He Has Risen!!! Sheena's Taste of India Blog Hop!! 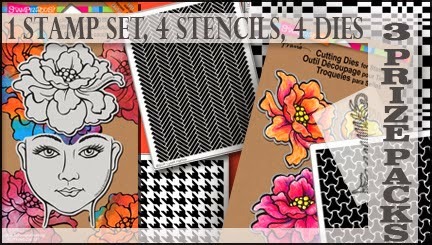 Loves Rubberstamps April Guest Designer! !